On Tuesday, May 20th, city manager Russell Allen proposed his budget for fiscal year 2008-2009. The entire proposal with details can be read here. 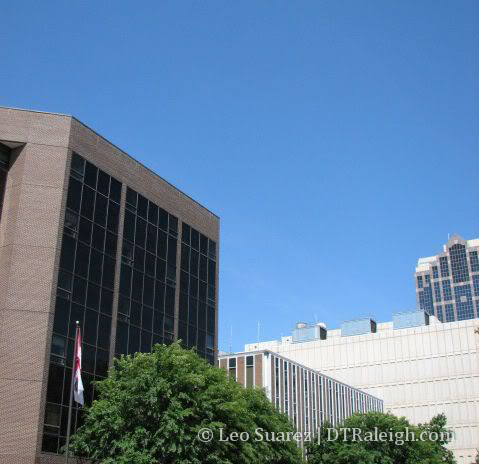 There are some elements to the budget that affect downtown Raleigh and one of the major ones was for full funding on the Clarence Lightner Public Safety Center. There are other projects listed but the safety center is planned to gobble up $226.1 million over the next five years. The addition of more space and consolidation of current safety related services can only be a good thing for the city. The 15-story, 260,000-square-foot facility will enhance the City’s ability to consolidate public safety operations and other local government offices and functions at one location, including the City’s police and fire departments. 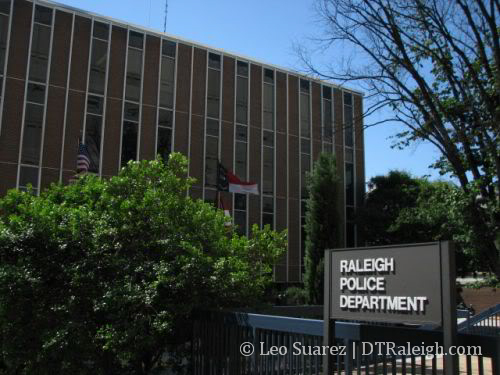 The public safety center is named in honor of Clarence E. Lightner, who served as mayor of Raleigh from 1973-75. 15 stories will easily fill this gap. Leo, you might like to know that the final [proposed] height is 18 floors. The 15 floors they are talking about is the space that will be occupied. There will be another 3 floors of mechanical rooms, etc. I say this because I am convinced that when finished, the building will look almost as tall, if not taller than Two Progress Plaza – remember, it will be LEED certified. 18? Awesome, thanks for that clarification RaleighMSA. Nice to see more of the 1960 looking buildings are being removed. This is a great location for a signature type building (even though it is 18 floors – will fill this void nicely). They should look at extending this another 7 floors (hopefully the street level will have retail, do not want it to look like that UGLY AT&T building). By the way, any word on that AT&T location? Thought I heard they maybe moving to the ‘burbs.